This WO adapter # D-ROTO-A2-SCT328F has a 2" eyepiece holder on one side and a 3.28" SCT female thread on the other side. It will fit the 3.28" SCT male thread on large 11-14" Celestron SCTs. Meade uses a marginally smaller 3.25" thread with the same thread pitch. Hence, while this visual back should also fit most large Meade 10-14" telescopes, there is a very small chance that it might not. This item is not for use with smaller SCT telescopes up to 9.25" aperture. 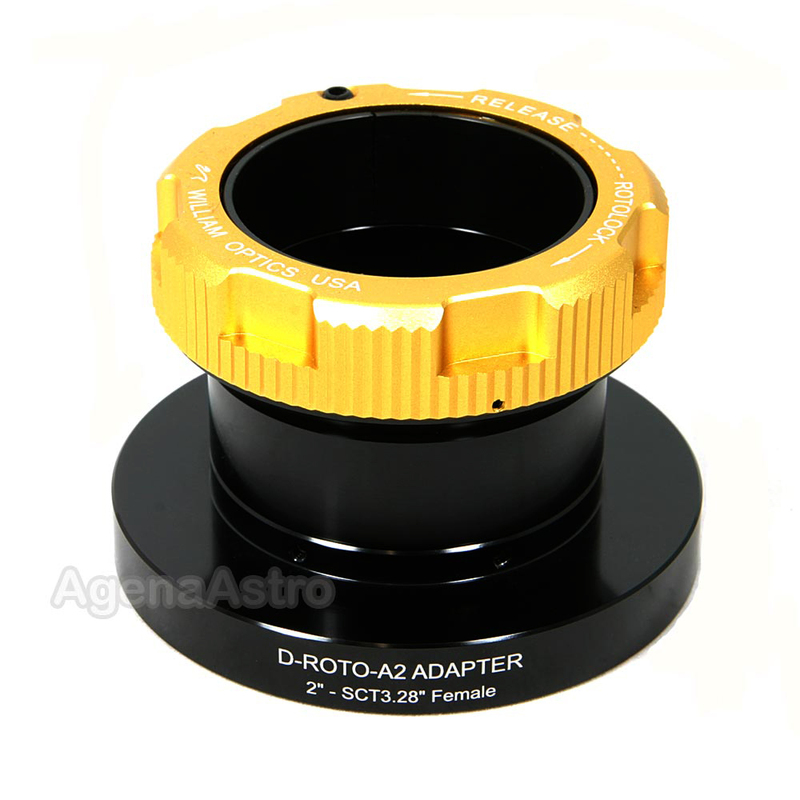 For those scopes, please see William Optics item # D-ROTO-A2-SCT2F (SCT 2" RotoLock adapter). Review by Paul of Raleigh, NC. Nice upgrade for ANY SCT to allow 2" visual back support for heavier Eyepieces and imaging trains. The rotolock is far superior to the traditional locking screws used to secure 2" accessories to the scope. Allows for quick changes, but more importantly, an easier and more secure method of locking down to hold valuable imaging accessories, so they do not fall off.